Is Buying Stuff the Best Way to Help the Poor? 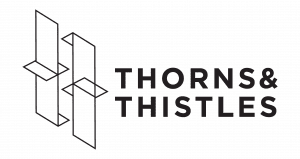 TGC’s new “Thorns & Thistles” column seeks to apply wisdom with practical advice about faith, work, and economics. If you have a question on how to think about and practice your work in a way that honors God, let us know at [email protected]. According to what I’ve heard, improving a country’s GDP is more important than any form of aid. Does that mean that, in order to most obey Jesus’s commands to love the poor, I should buy products and services—particularly those produced by the less advantaged? Let’s say, for example, that I have $100 and I live in the Middle East. What is more helpful—to give the $100 to a charity that helps refugees in my country or to take that $100 to a locally owned-and-run supermarket and buy the desserts they make and sell there? This question plagues me. It seems counterintuitive that the best way for me to help the poor is to buy stuff from them. That’s not intuitively how any of us interpret Jesus’s commands, but if it is the case, it raises a host of issues about what effective generosity really is. Between 1990 and 2013, the number of people in extreme poverty fell by nearly 1.1 billion, even as the world’s total population expanded by nearly 1.9 billion. Was this the result of aid or development policy from Western governments and NGOs? No. Without a doubt, the single most important factor in lifting over a billion people out of poverty was sustained economic growth—rising Gross Domestic Product (GDP) in countries with substantial poverty. If rising GDP has done more to decrease poverty than any charity or aid program, how does one best leverage one’s personal finances to help the poor? Is buying stuff in order to raise GDP the most faithful way to obey Jesus’s commands to love the poor? As with most important things, the answer can be complex. Spend $1 on ice cream and eat it yourself. Spend $1 on ice cream, then find a poor person who couldn’t afford to buy ice cream and give it to them to eat. Additionally, while in general the best way to lift the most people out of poverty is through economic growth, people can remain in dire poverty even as GDP increases. In the last several decades, economic growth in many countries has increased incomes but also inequality, creating new problems for those countries. For example, the people Mother Teresa ministered to would not benefit at all from GDP growth. The best way to help those people is to serve them directly, whether doing so helps GDP or not. In other cases, economic growth has actually hurt people. In the United States, globalization has been good for growth overall, but has also displaced many workers who used to have manufacturing jobs. Those people need to learn new skills so that they can get new jobs; helping them benefit from economic growth requires not economic investment but individual attention. So what is the best way to leverage your personal finances? Don’t make it too complicated. Find things that effectively improve people’s lives without hurting them. The answer will be different in different contexts, so it’s helpful to refocus on the individual: Sometimes the easiest thing is giving money directly to responsible people with need. Or increasing someone’s long-term income potential by connecting them with resources, training, or access to jobs. Or seeing an organization around you that does good work and giving there. Don’t necessarily worry about GDP. How you give needn’t contribute toward economic growth. Not everybody can contribute in that way, and that’s okay. Instead, focus on being faithful with what you’ve been given. Help the people you know need help. Give out of the resources you already have. And rest in the knowledge that God has more resources, and loves the poor, more than you ever will. See previous installments in the Thorns & Thistles series. Greg Phelan is an assistant professor of economics at Williams College. He earned his college and graduate degrees from Yale University, and his research focuses on macroeconomics and financial theory. He is an elder at Community Bible Church in Williamstown, Massachusetts, where he lives with his wife and children.